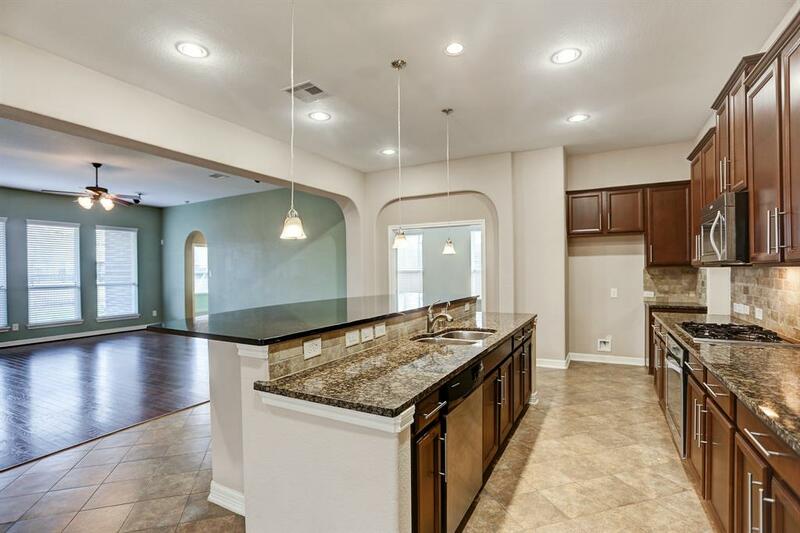 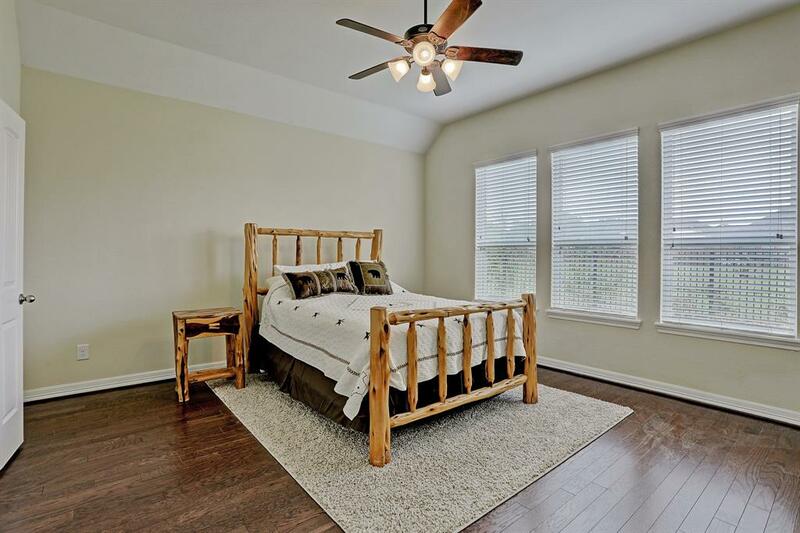 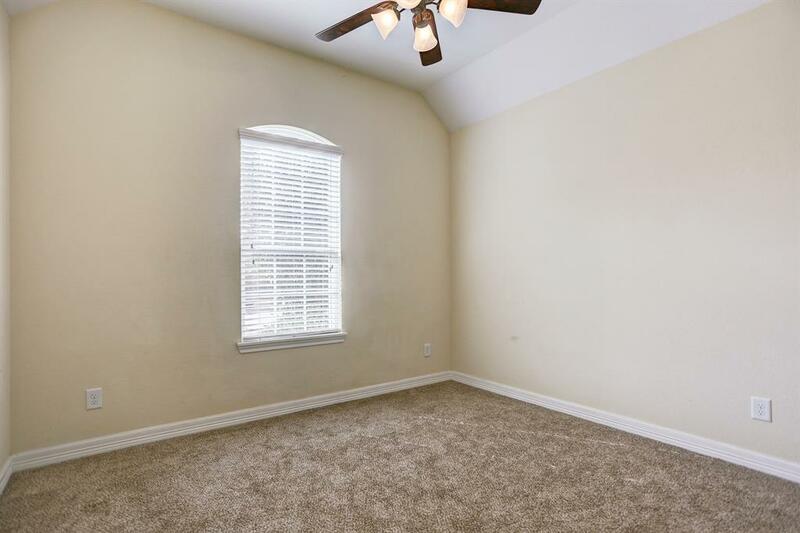 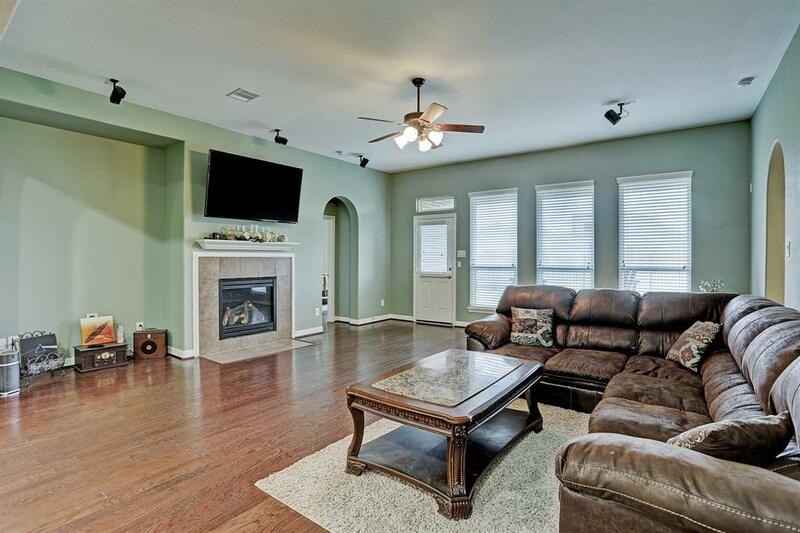 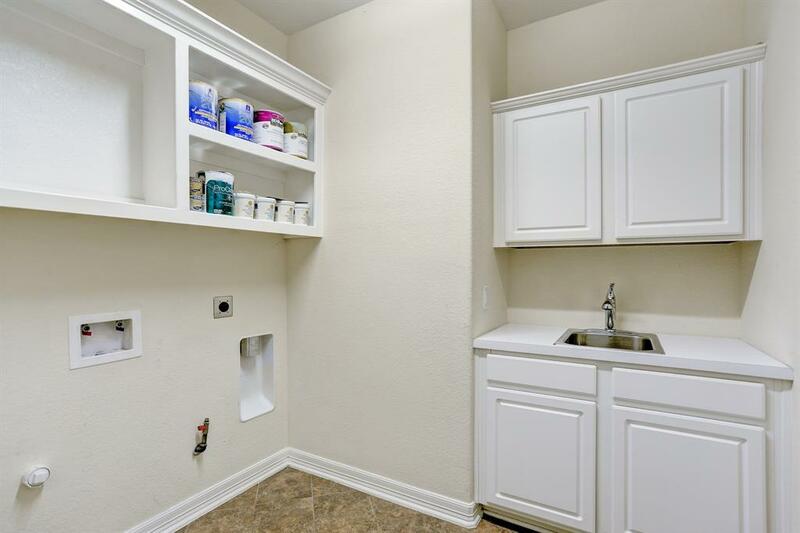 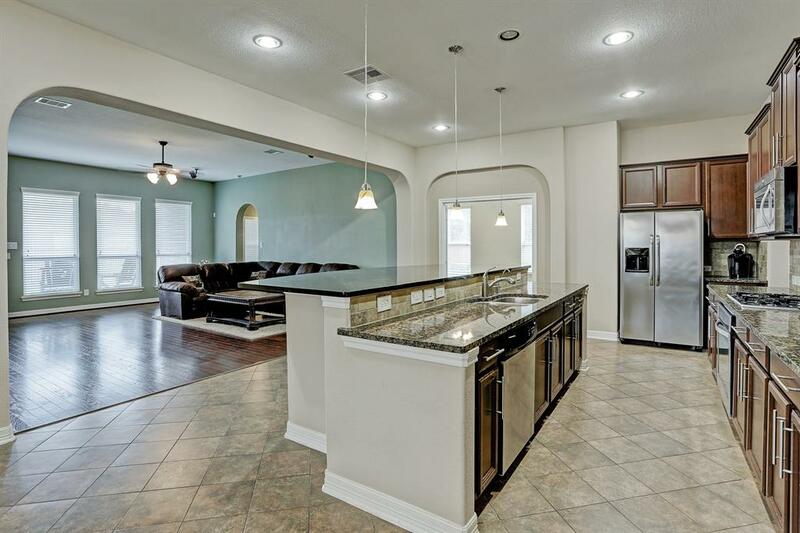 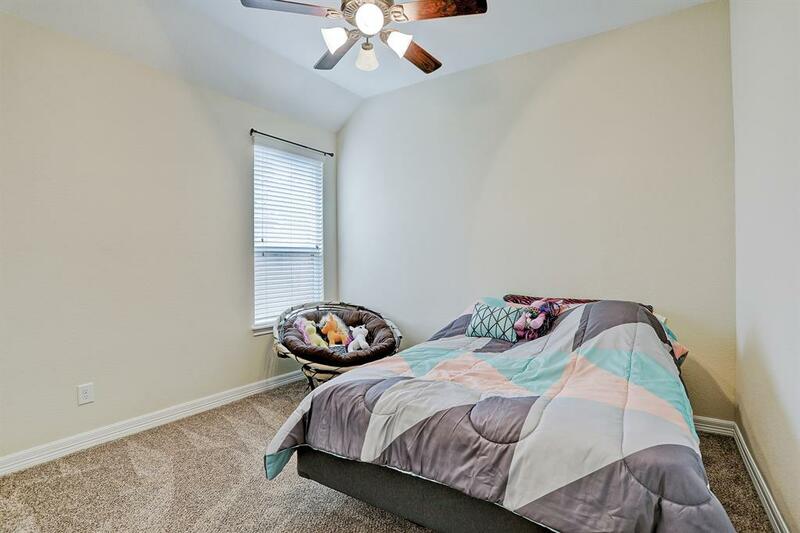 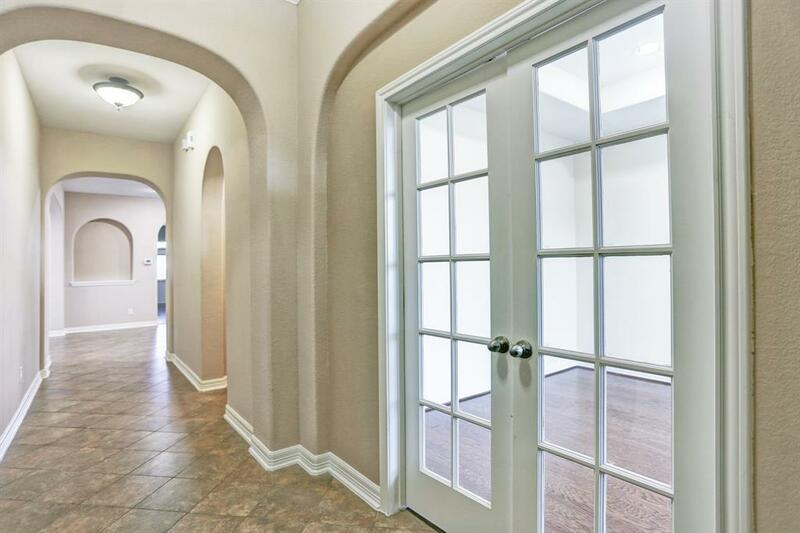 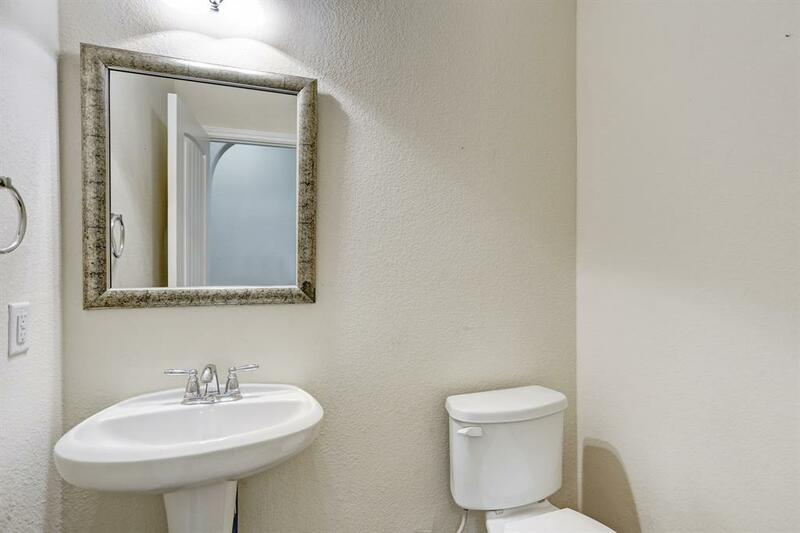 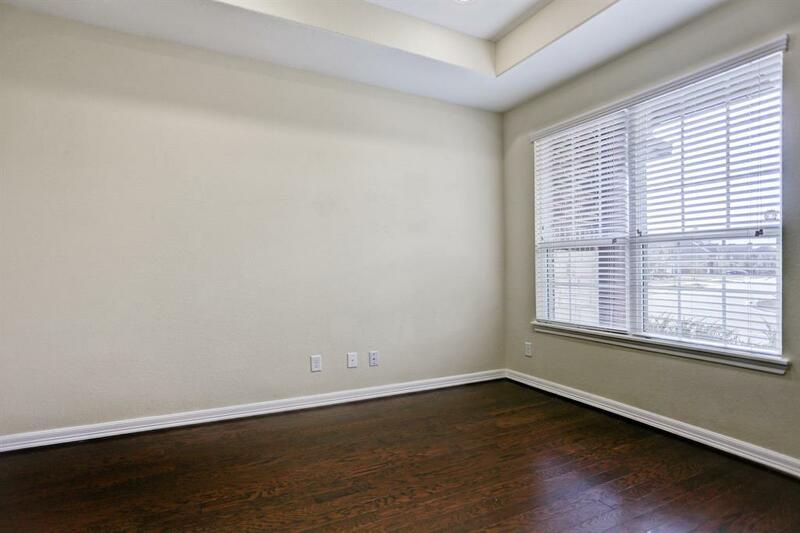 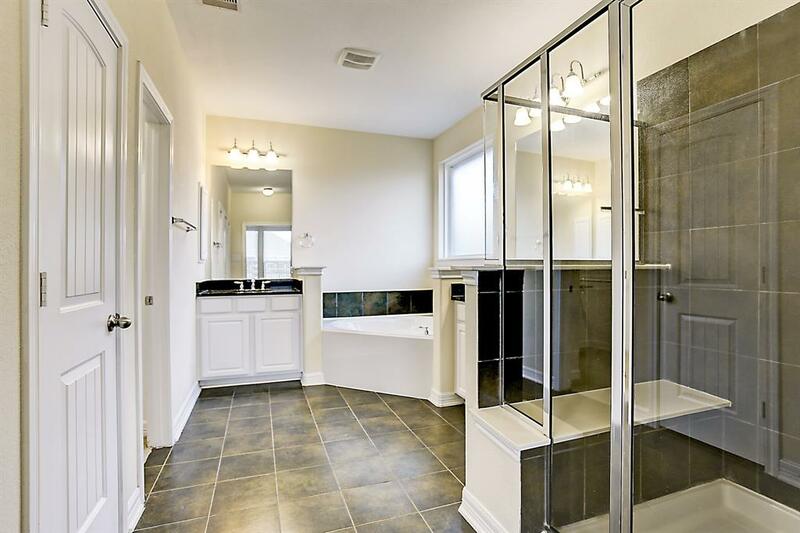 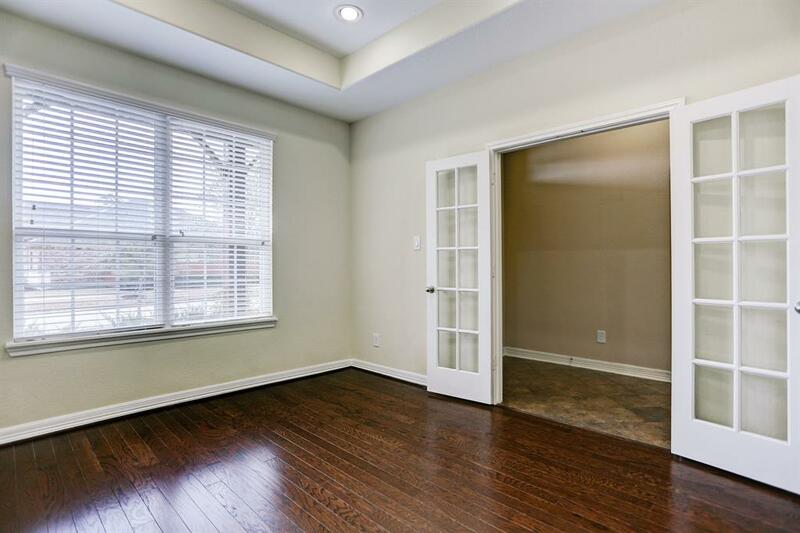 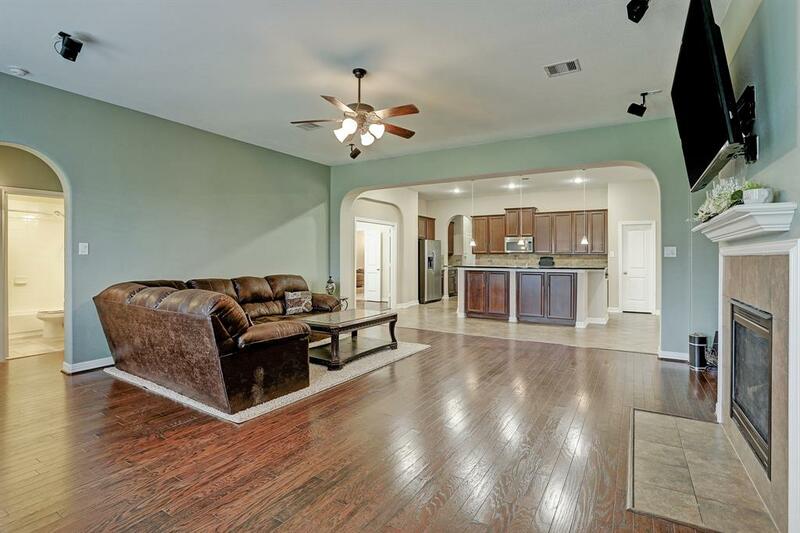 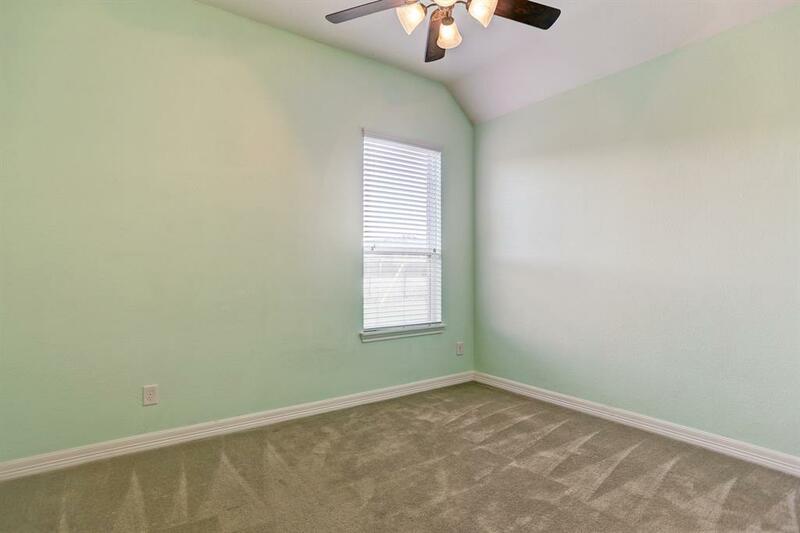 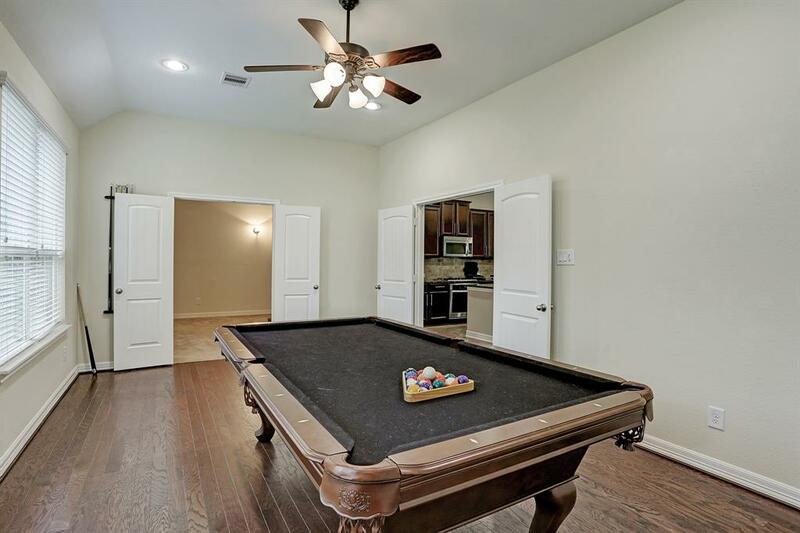 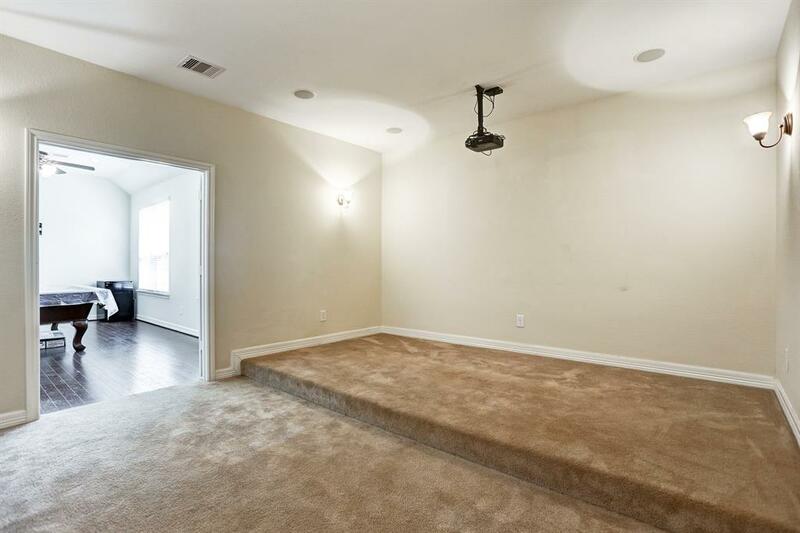 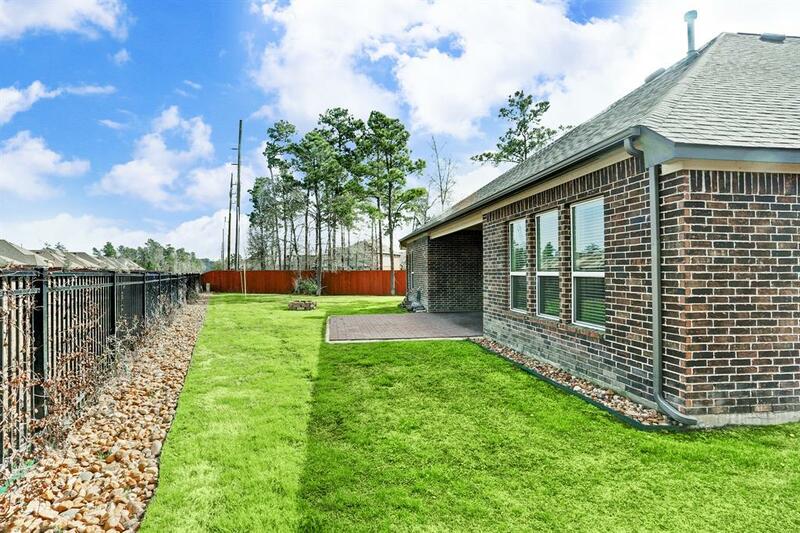 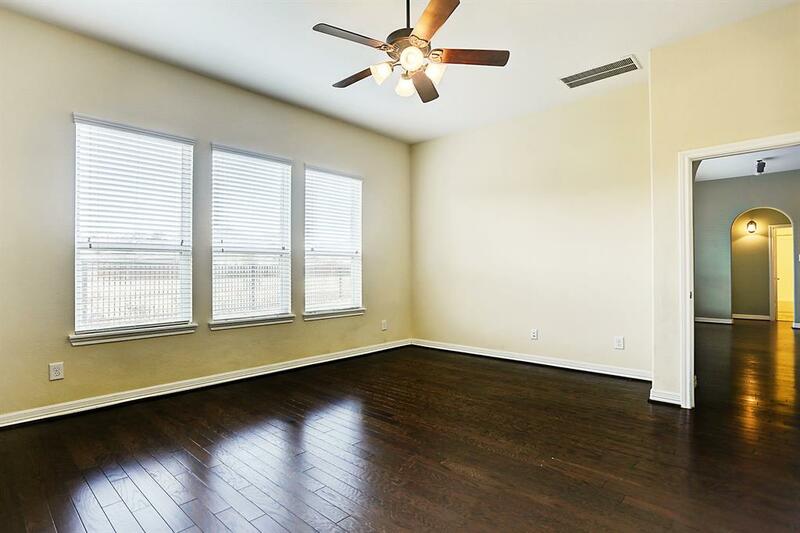 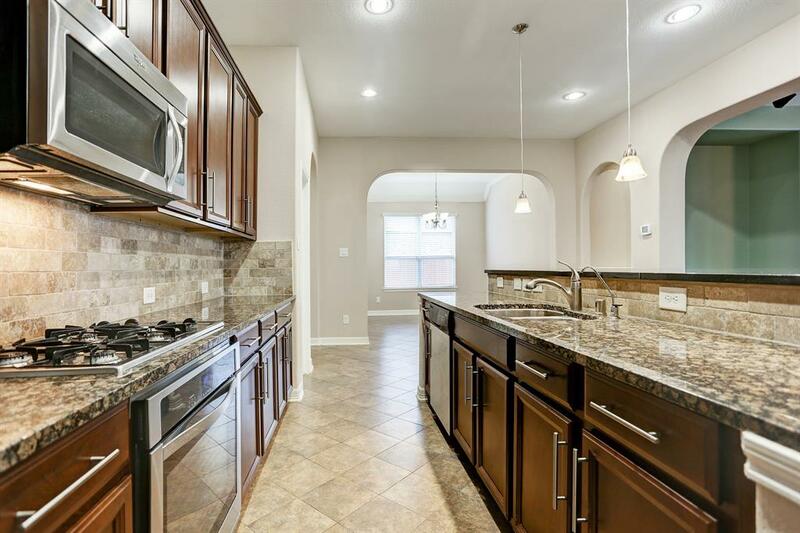 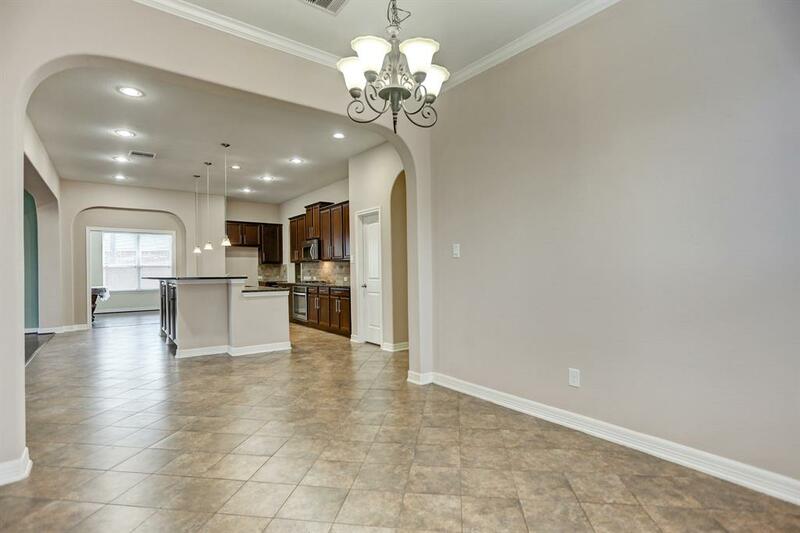 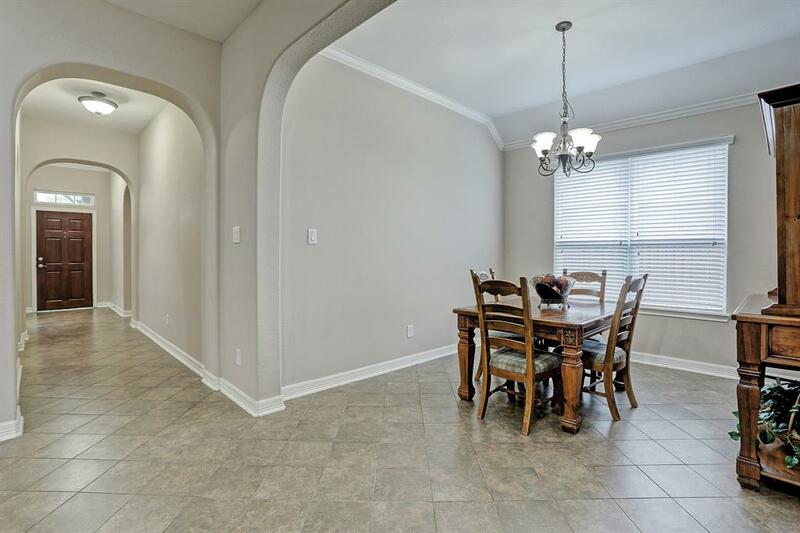 This wonderful single story home is conveniently located just over a mile from 59 and the Grand Parkway, making commuting a breeze, and only minutes from necessities like grocery stores and the hospital! 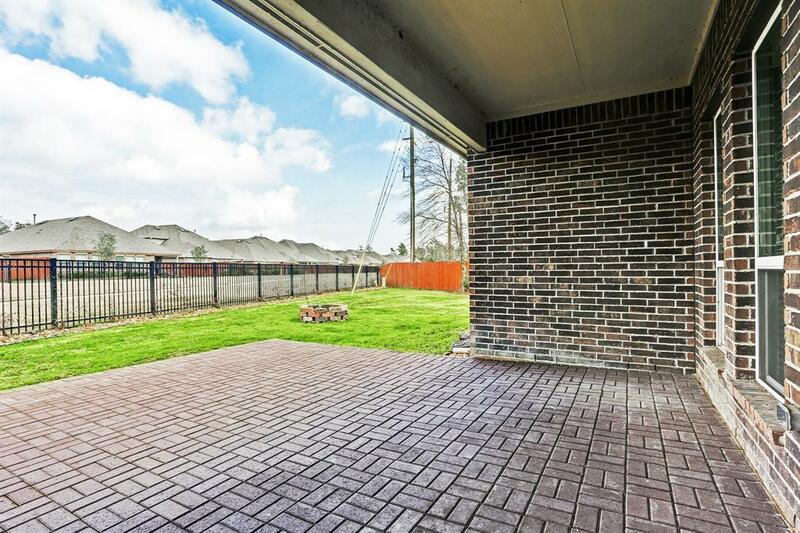 The spacious lot is fully fenced with no rear neighbors, a short walk on one of the community's many trails will get you to the neighborhood pool and clubhouse. 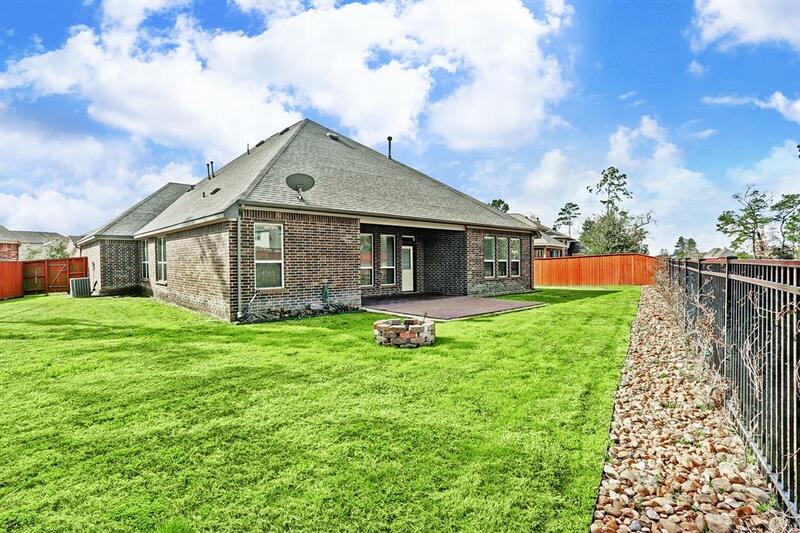 The cozy curb appeal of this home leads to 3,145 feet of living space! 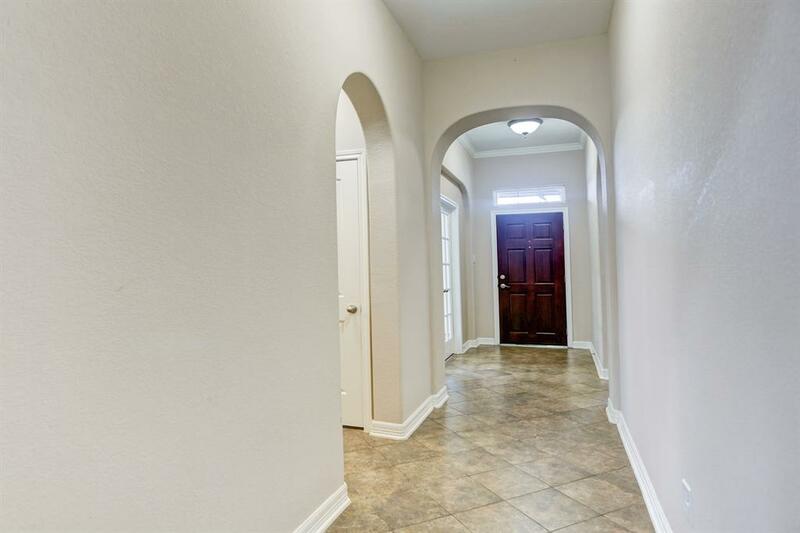 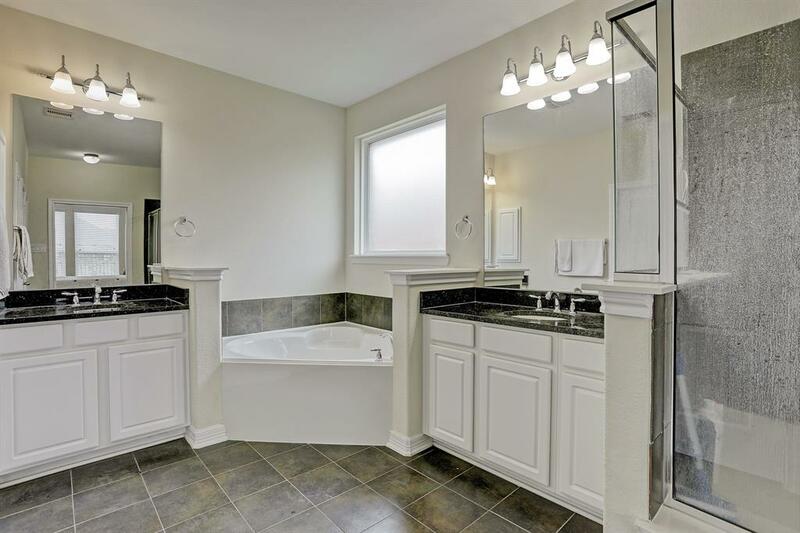 This meticulously maintained home has a beautifully versatile layout. 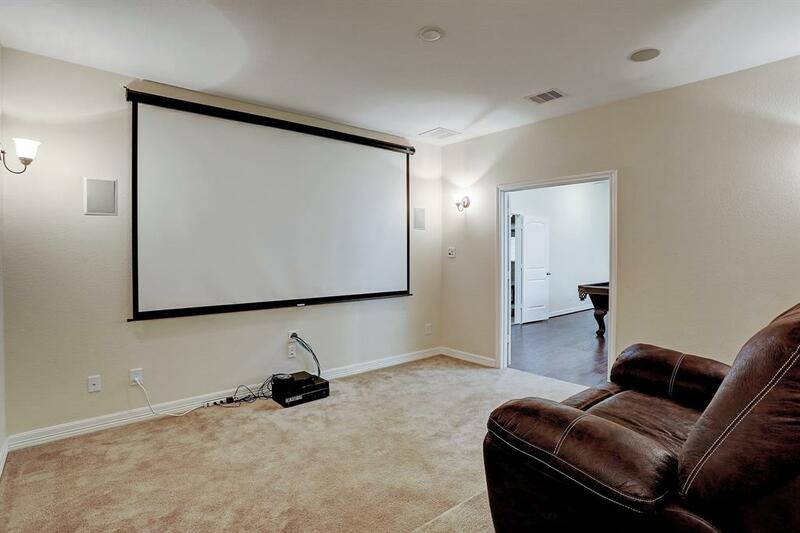 The open floor plan offers an expansive living/kitchen space, a dining space, and a large game room with attached media room (a rare find in a one story home!). 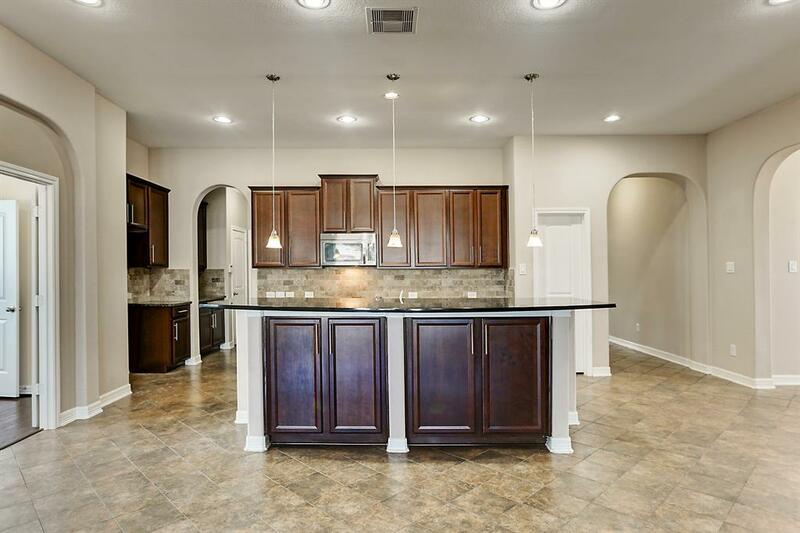 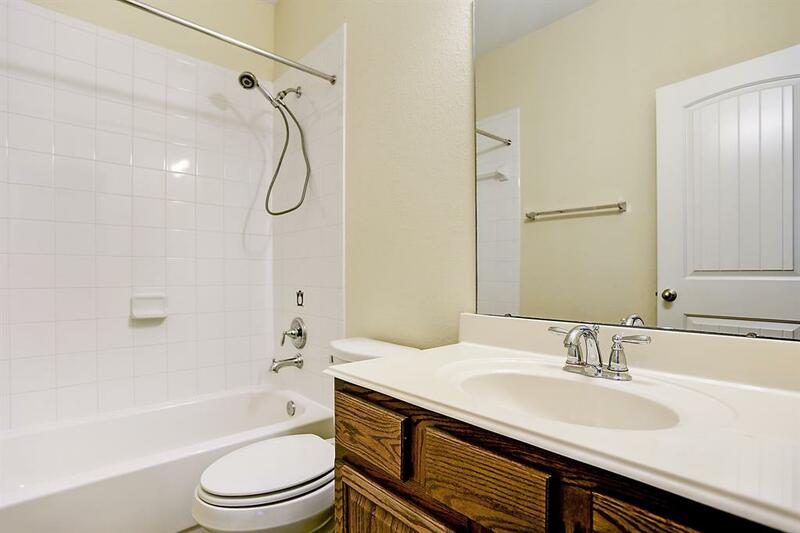 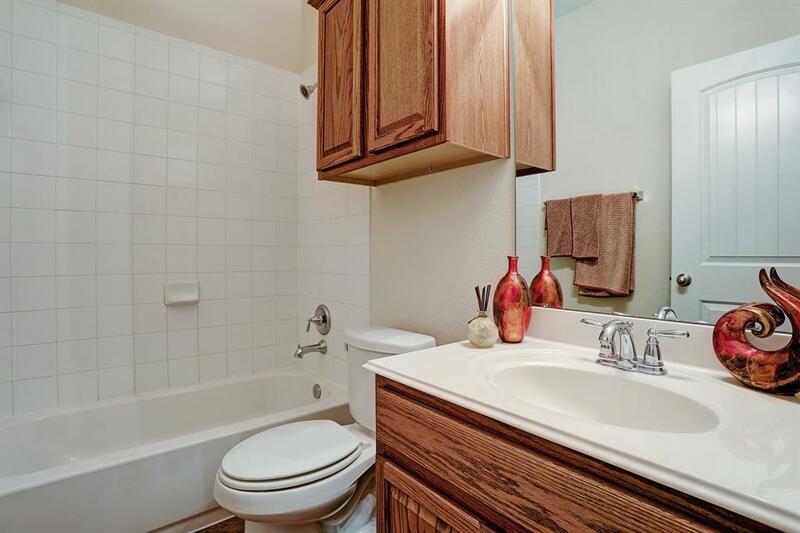 You'll also find an office, 4 bedrooms, and 3 1/2 baths. 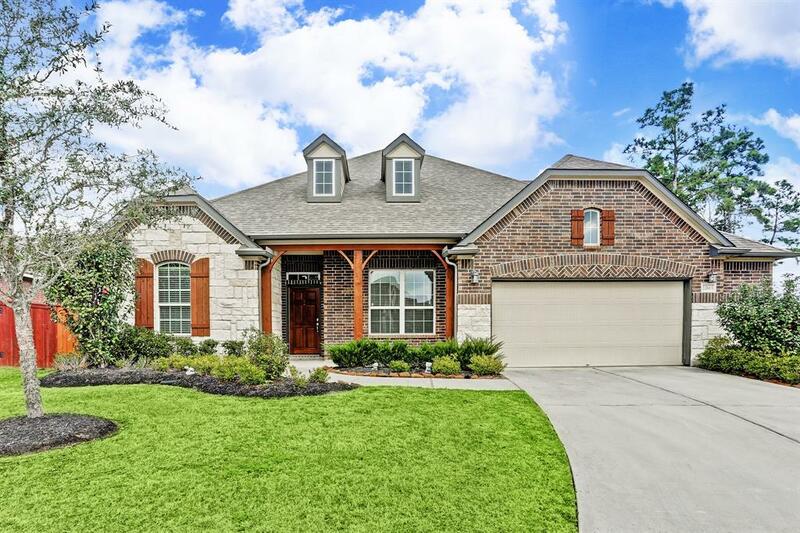 Complete with a fireplace, granite counters, engineered hardwood flooring, beautiful exterior landscaping and an extended brick patio, this home is truly stunning!